Lucius Annaeus Seneca was the most distinguished of the Spanish writers of the Roman imperial age. Born in Corduba in Andalucia to a Roman equestrian family, Seneca was brought to Rome as a child and seemed destined for a political career. Instead, he became a stoic philosopher, producing wise words that carry moral echoes down the ages to us. Seneca grew up in a Rome that distributed welfare in the form of free grain, spelt among barley and emmer, an expedient consequence of the food riots, 60 years before he was born, in 59 BC. An ancient hardy grass thought to be native to both Persia 8,000 years ago and south-eastern Europe 4,000 years ago, spelt was cultivated throughout the continent from the Caucasus to Scandinavia. Three thousand years ago, river valley communities in the south of Ireland were cooking with spelt berries. The ancient Greeks and Romans expanded its use. 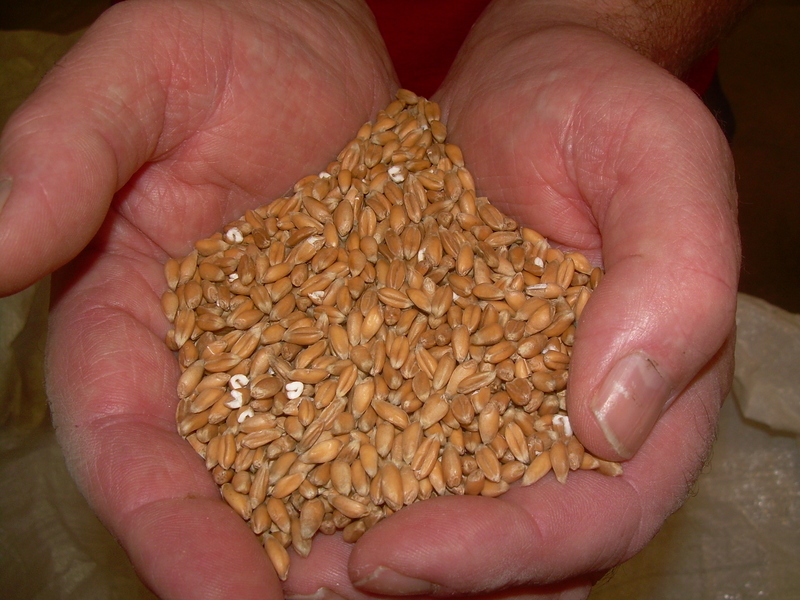 Roman armies lived on spelt (along with barley), making an early version of polenta. Spelt has been making a comeback in recent decades, largely in southern Germany and in nothern Switzerland, where older varieties have been cultivated. Known as urdinkel (old spelt), the range of flours milled from spelt are going into every type of bread and pastry, replacing wheat in many recipes. It is also becoming increasingly popular in Ireland, where Andrew and Leonie Workman grow, mill and package spelt berries and flour from their farm in Dunany, on the coast below the ancient land of Oriel above the Boyne Valley. Spelt, with barley, einkorn and emmer wheat, remained a staple in Europe until the 20th century, when it fell out of favour for numerous reasons, not least the problems associated with harvesting, separating and milling it into flour. The Workmans have got round these problems with modern machinery. Now spelt is one of their biggest sellers and they have high hopes for the berries, which can be used in salads and stews, to make risotto and soaked whole to be baked in bread. Dominick Gryson, a Louth man who has experimented with ancient grains to find strong shafts for thatching, believes the Workmans have found a great artisan product. Dermot Seberry, who champions the Workmans’ produce in his book, A Culinary Journey in the North-East (of Ireland), agrees. ‘They fit in with the super food group and are a substitute for risotto rice and barley in the likes of stews and black pudding,’ he says. Spelt contains beneficial minerals, unsaturated fatty acids, vitamins (B and E), and has six of the eight essential amino acids that stimulate the production of happiness hormones, just as the abbess said. But it is the low GI (glycaemic index of carbohydrates) that makes spelt a primary health product. With 35 compared to 40 for wheat and 70 for rice, spelt releases glucose more slowly into the bloodstream, balancing out blood sugar levels. Spelt saved the early Roman Empire but it also sustained the tribes of barbarians who brought about the fall of Rome and allowed their descendants to supplant Roman power throughout Europe. Something that powerful is worth promoting, especially now that modern wheat has lost its allure and the wisdom of the ancients, Seneca and von Bingen among them, is finally being listened to.